Orange County residents say their beaches are the best of the best in California … maybe the world. Laguna Beach, Newport Beach and Huntington Beach are the three main Orange County beaches (more about these below), but you should not overlook San Onofre State Beach. It is located at the southernmost end of Orange County and is deliciously undeveloped (as well as a bit tricky to get to by car). San Clemente’s beaches — the state beach and its neighbor, Calafia Beach County Park — are accessible by the San Clemente Pedestrian Beach Trail, which runs the entire San Clemente coastline. This not only gives great beach access, but connects with the wonderful array of beachfront hotels, hostels, resorts, restaurants and other amenities supporting your visit to the area. Capistrano Beach, the next beach north, is tucked into an area behind Dana Point, shielded from rough surf. This is perfect for smaller children, but consequently not so great for surfers. Some seaside resorts are within walking distance and superb resorts are up the hill in Dana Point proper. Between Dana Point and Laguna are some quaint, small beaches which some consider exquisite “local secrets.” The nearby Salt Creek Beach Park is as pristine a beach as exists anywhere, and it is next door to world-class golf and five-star resorts. 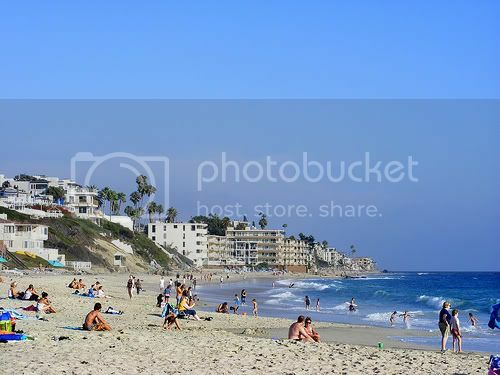 Aliso Beach County Park is a wonderful beach on the south side of Laguna Beach. The Pacific Coast Highway runs right next to it, and there is ample parking, dining and lodging on the beach side of the highway. Many of the oceanfront properties in this area have been purposed into vacation rentals, condos, bed & breakfasts or smaller lodges. Occasionally, they’ve been rebuilt as hotels or motels. The offerings range in price and amenities, of course, but most provide comfortable beachfront leisure living with ocean views. The little bay at Laguna Beach and the surrounding hills make the beach there unbelievably beautiful. The surf is perfect year round. The amenities – shopping, nightlife, hotels, etc. – will please everyone in your family or party. Check out Crescent Bay and Emerald Bay as you head north out of Laguna Beach. Both are small bays, between rocky points – hard to find, but truly pristine and worth the effort, as is Crystal Cove State Park, just a few miles north. Traveling north, next up is the Newport Beach area, where you can find some wonderful lodging and dining choices. On the south side of the inlet is Corona Del Mar State Beach, but we cannot recommend that beach because, frankly, the ones nearby are so much better. On the north side of the inlet to Newport Bay is the Balboa peninsula (sometimes called Balboa Island, along with two other man-made islands – it’s a tad confusing), and the oceanfront there is where the quintessential Orange County beach begins … and it continues essentially uninterrupted for the next 10 miles to Huntington Beach and slightly beyond to the county line near the Sunset Beach / Seal Beach area. The beach in this area is very wide – often a few hundred yards. The sand is white, course and clean. The surf is often “up” and ride-able. Beach access is super easy. Parking is free and, across the street, there is a wide variety of oceanfront hotels, inns, motels and other vacation rentals. This is a major population center, so restaurants, nightlife and other attractions abound. This 10-mile stretch is what most people think of when someone says “Orange County beaches.” The area is wonderful, to be sure, but don’t forget to check out the other sparkling gems in this southern California oceanfront paradise. 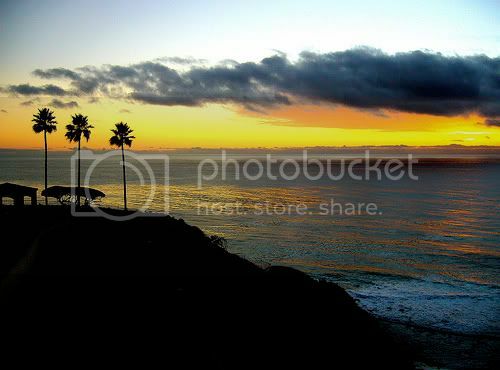 Photo of Salt Creek Beach in Orange County by bfick via flickr (Creative Commons) and Photo of Laguna Beach in Orange County by slasher-fun via flickr (Creative Commons).